“A man who has the mind of an elephant is a wise man” Step into Far Eastern culture with our unique Elephant range. Tremendously popular and very charismatic. This big friendly animal is associated with enormous meaning as it not only represents wisdom and divine knowledge but it is also a symbol of good luck. 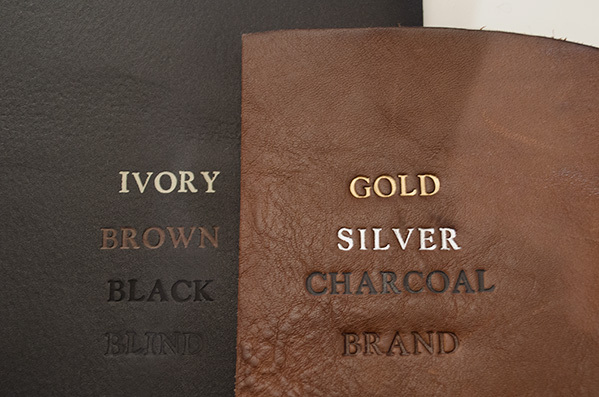 Handmade from eco-friendly and sustainable tree bark which lends each Elephant Journal unique characteristics. The nature of the bark highlights the individuality of the three-dimensional hand embossed elephant on the cover. Big on charm and a bold beautiful collection. Each book is hand-bound with an au naturale but robust 100% acid-free tree bark paper which can be written on with any normal or fountain pen. An attractive natural string cord binding adds a pretty twist and a lovely wooden toggle secures the book closed. Perfect for use as a visitor book, travel journal or for sketching. A helping hand for the planet ... plastic-free packaging. 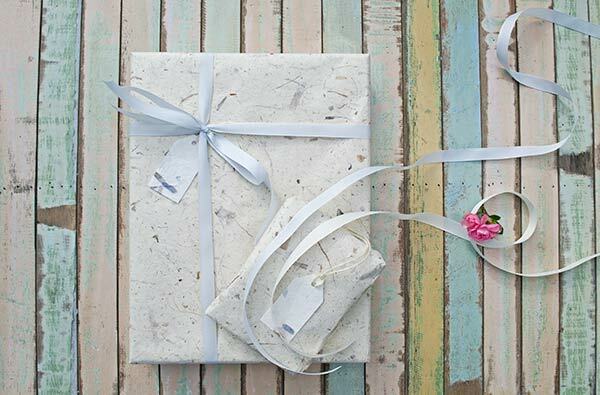 Each Journal is simply presented in a handmade paper bag. 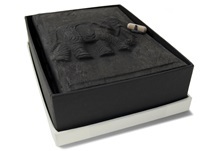 Featuring a remarkable hand embossed three dimensional Elephant which represents wisdom and is a symbol of good luck.